So, back to the money-saving Lauren. What did you do Friday evening? I bet it wasn't as good as ours! 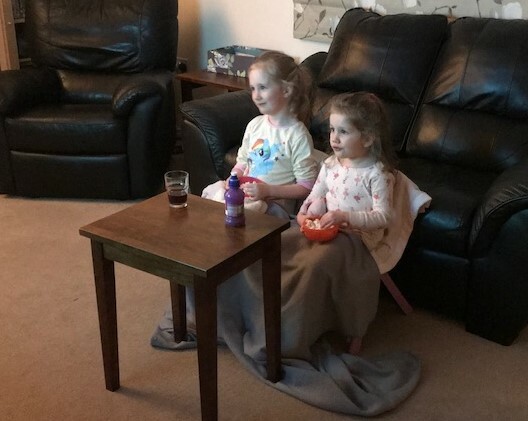 While the girls enjoyed their movie night - Dora the Explorer... again - Jeff and I hovered over the laptop screen at the kitchen table considering remortgaging options. Yay! Fun! (Not.) What's sooo depressing is realising how much is left on our house to pay off and how much we pay in interest! Waaaa! At least we're starting to look at the options and have the time to ask others for advice. My ultimate goal is to pay off our mortgage... and the sooner, the better! Completely changing topics.... my girls have had the Mueller corner yogurts perhaps twice... ever... because they're full of sugar and EXPENSIVE... and the "yogurt" is drippy and gross. Can you tell I don't like Mueller yogurt?! Not that the above-pictured yogurt is any less sugary (I haven't compared nutritional info), it does taste a WHOLE lot better and cost less than 90p (I can't remember the actual price) from Aldi. 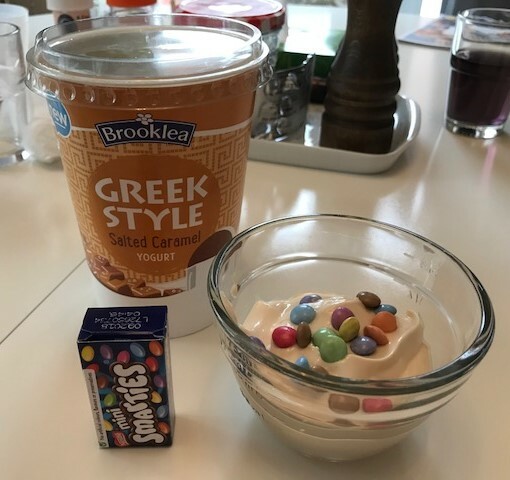 So that my daughters don't entirely miss out on the "fun" of having Smarties (British M&Ms for my non-British readers) in their yogurt, I occasionally let them add a small handful to their yogurt. Cost-wise it comes to about 15p per bowl compared to the best price of 40p per Mueller Corner yogurt. Sorry (not sorry) that I talk so much about food on my blog, but it is such an easy way of saving money. Almost every weekend, I crave Chinese or a curry.... but it can be sooo expensive if it's eaten at a restaurant or even taken away. The next-best option is the Chinese or curry "deals" from the supermarket... and yes, they're fine, as long as my girls will eat them. The meal would cost £8-£10. Not too bad... but I know I can do better... with the use of my slow cooker. 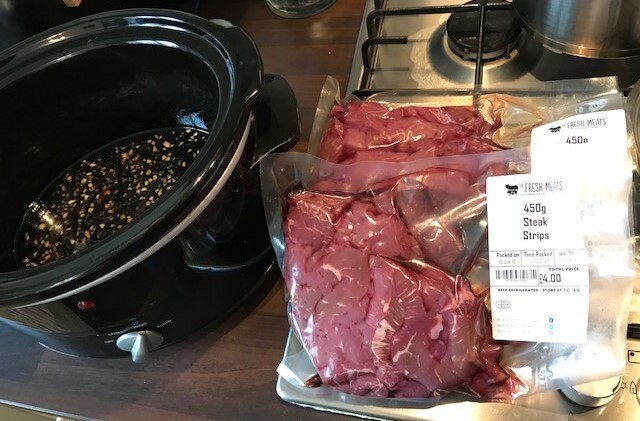 Even having ordered great-quality meat from UKFreshMeats for £8 for this recipe, it still works out to about £4 for the meat for this meal since we've only eaten half of the beef. 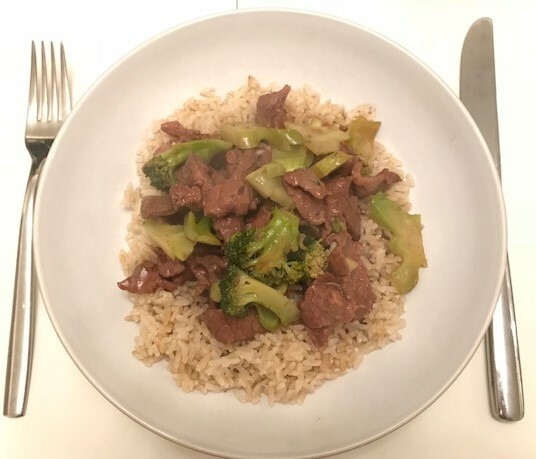 Of course there are the costs of the pretty basic ingredients for the sauce and the costs for the brown rice I boiled myself... oh yeah, I made Slow Cooker Broccoli and Beef and it hit the spot! The leftover beef will be used in steak fajitas tomorrow evening for a quick, easy and cheap meal. 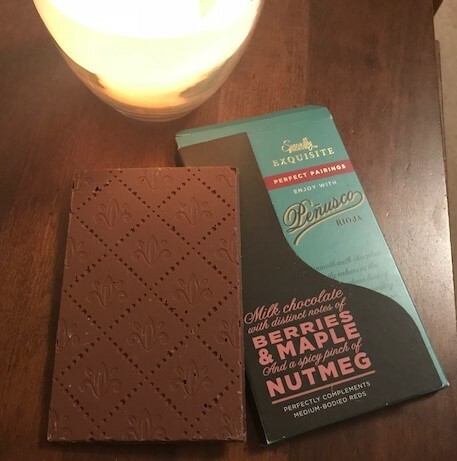 Saturday evening Jeff and I shared this small-ish bar of chocolate that was marked down to 47p at Aldi after Christmas. It was alright... not fantastic... but it did the trick for a simple, inexpensive Saturday evening treat... and it looked pretty too! I know this post is somewhat random, and honestly, not completely thought through... but that's ok! I'm simply sharing my thoughts in the hopes of encouraging you to find ways to simplify, cut-back where possible and consider options that may or may not save you money depending on your circumstances, like not taking advantage of the paid-for gym membership. First of all.... the girls are so cute. Secondly, you made the right choice for you on staying at your current gym. Your satisfaction with Anytime and your happiness is worth more than a free membership that would bring you irritation and less frequent visits to the gym.